More than 15% of children in the U.S. between the ages of 6 and 19 are technically obese, and the percentage keeps growing by the year. The main culprit of teenage obesity is bad nutrition, fast food, high carbohydrate intake, and lack of physical activity. If obesity jeopardizes a child’s health, diet pills may be the only solution, along with a healthy diet and regular exercise, to prevent serious health problems such as diabetes. Avoid giving your child over the counter (OTC) diet pills. The majority of those medications have not been approved by the FDA. The only FDA-approved diet pill for teens is Xenical. However, this medication should only be used with a prescribed and under a doctor’s supervision. If the patient suffers from a chronic disease such as diabetes, asthma, heart disease, or high blood pressure, the use of diet pills is not recommended. The most common OTC diet pills that can be used by teens are PhenTabzTeen, Natural Green Tea Extract, and Natural Hoodia Gordonii Appetite Suppressant. Xenical is the only weight loss pill for teenagers that has been approved by the FDA. Xenical blocks almost one-third of the consumed fat, and prevents the fat from entering one’s bloodstream. 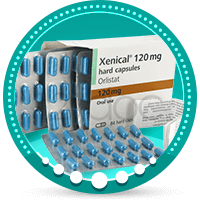 Due to potential side effects, Xenical is mostly prescribed to obese teens who have serious obesity-related health issues. 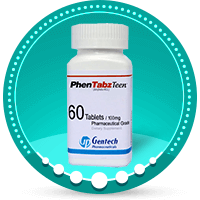 PhenTabzTeen was the first OTC diet pill created especially for teens. This medication acts as a metabolism booster and appetite suppressant. The manufacturer claims that it contains the same active ingredient (Ampheta-HCL) as its predecessor PhenTabz RX but with fewer side effects. Is this diet pill safe for teens? Although producers claim that this medicine is completely safe, they are not willing to reveal PhenTabzTeen’s ingredients. Because of this, PhenTabzTeen may not be the pill of choice for teenagers. 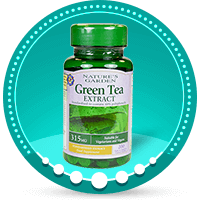 Natural green tea extract is a natural alternative to other dietary supplements. Green tea is known for its antioxidant effects that functions as a metabolism booster and can help you lose weight. It may not be as effective as other diet pills, but green tea extract is definitely a healthier option. Green tea extract contains high levels of caffeine and isn’t recommended for caffeine-sensitive people. 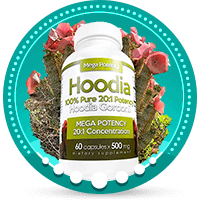 Hoodia is an appetite suppressant made out of Hoodia cacti that grow in South Africa. The main active ingredient in this diet pill is a molecule known as P57. This substance acts similarly to glucose and tricks the brain into thinking that the stomach is full. There are practically no clinical studies about Hoodia’s effectiveness and safety, but if you have problems with high blood pressure, diabetes, anorexia or bulimia, you should not take this diet pill. Diet pills and other weight loss supplements are not something that you should take without consulting your doctor, especially during teenage years. Weight loss medications are only prescribed to those teenagers who are obese and suffer from serious health problems related to obesity.